A must-have Magento Extension for your Magento Store. 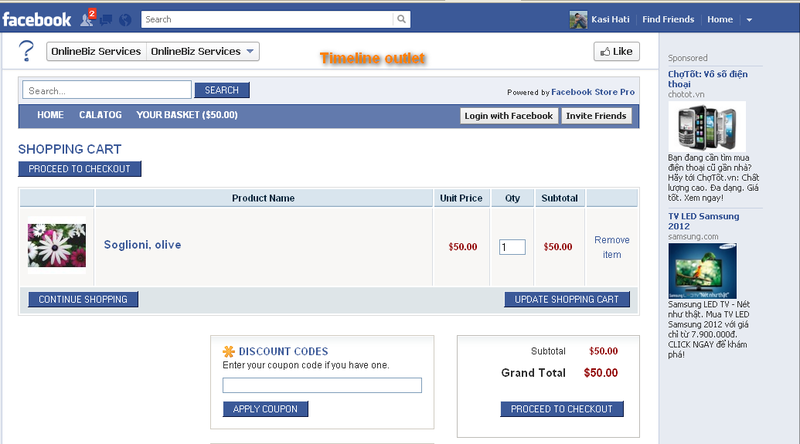 The Facebook Store Pro Extension help to publish your catalog/products to Facebook in a minute. Everyone can browser your products on Facebook as a shop application. This is one of most powerful extension for Facebook which increase your sales from 25%-35%. 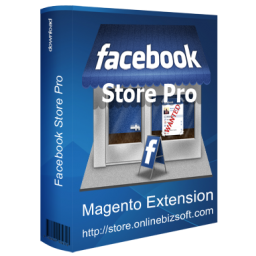 The Facebook Store Pro Extension is an advanced version of Facebook Shop Publisher which is designed to promote your Magento Store on Facebook and building potential customers. 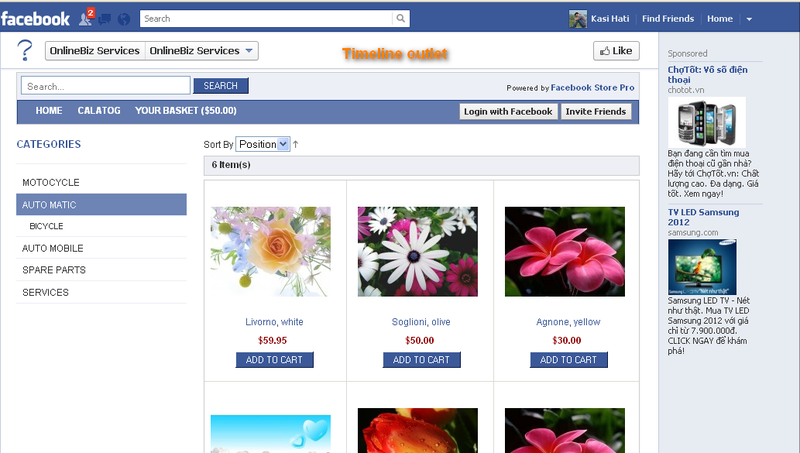 Once you install the extension, your catalog/products can be published on Facebook to everyone. People will easy reach your store via Facebook Share, Like,...... Products information and price are updated to Facebook Shop real time without any management efforts. You have your own Facebook Application instead of depending on our Server or third-party. We're using this extension mainly for showing all products on facebook page. As anticipated, we had issues with the installation due to our custom theme. However the support was quick & it got resolved quick. It works like a charm. I really like this extension and used it. 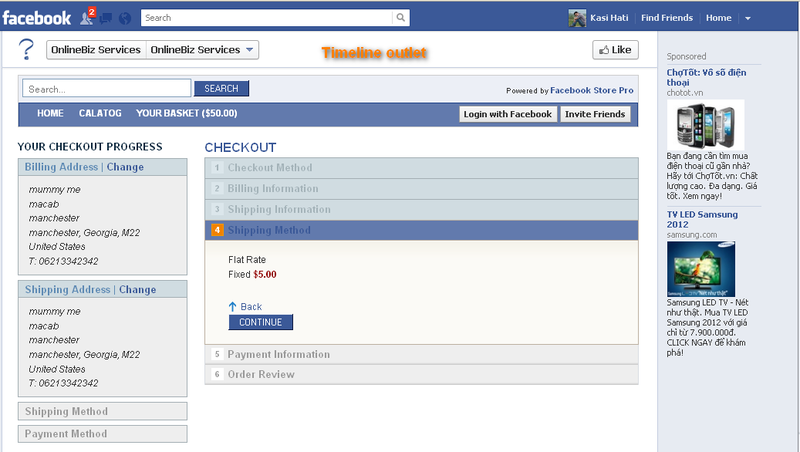 I like the idea that people can view and buy the product direct from the facebook social website. However there is an restriction that customer is unable to navigate back to the previous page. If it could work that way, the module is more perfect. This extension is the easiest and most comprehensive way to show products on Facebook. Its easy to use, features are impressive and i would really recommend others to use this extension and increase their business on facebook. Support staff gave me full support for installing and configuring the Facebook Store Pro Extension. Work with them very nicely. 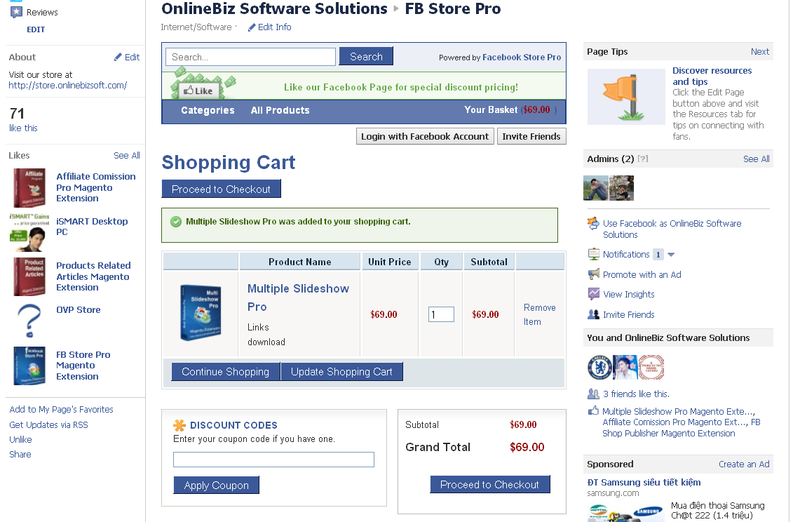 Extension Facebook Store Pro excellent purchase for promoting their business on the social network. We had some problems with installing this module because of another extension. The people at onlinebiz quickly solved everything making code changes in both extension (during the holiday season!) and now everything works like a charm! Brilliant!! Best FB integration for Magento and very affordable! only offer you one update a week, the best offered 1 daily update at a very steep price, and all that they limit the products. The interface is elegant, practical, fast, by far the best I have seen, I have no more words than to thank the support team for the patience and commitment to put up and running. Facebook store how it should be! We bought this extension already in 2011, but never found time to install and configure it properly. Unfortunately Facebook changed their application registering process multiple times and when we wanted to install the extension the manual was outdated. Dropping a line to OnlineBiz Sofotware support solved all our problems on a SUNDAY (yes, they seem to be working round the clock!). They quickly configured the Facebook application, did the necessary configuration and within hours everything was working perfect. When it comes to service (and with every software at some point service is required), the guys from OnlineBiz are awesome. Prompt reply, professional and almost instant service. This is how it should be. 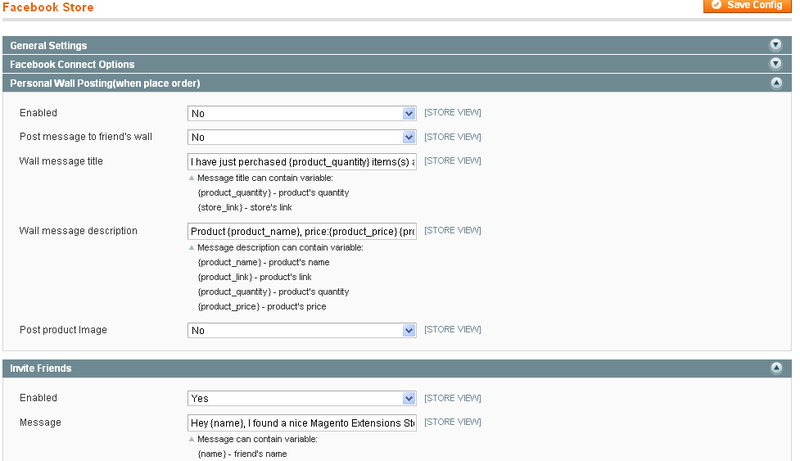 This a truly great Magento extension which we can highly recommend. Not only does it work as announced, but also comes with fantastic (free) service! Nowadays people spend more and more time on Facebook and any business who sells products should also have a Facebook Fan page for their online store. Mashing your store into your Facebook is the next logical step. There are several wigets out there that have tried to do this but none have got it just right....until now!! 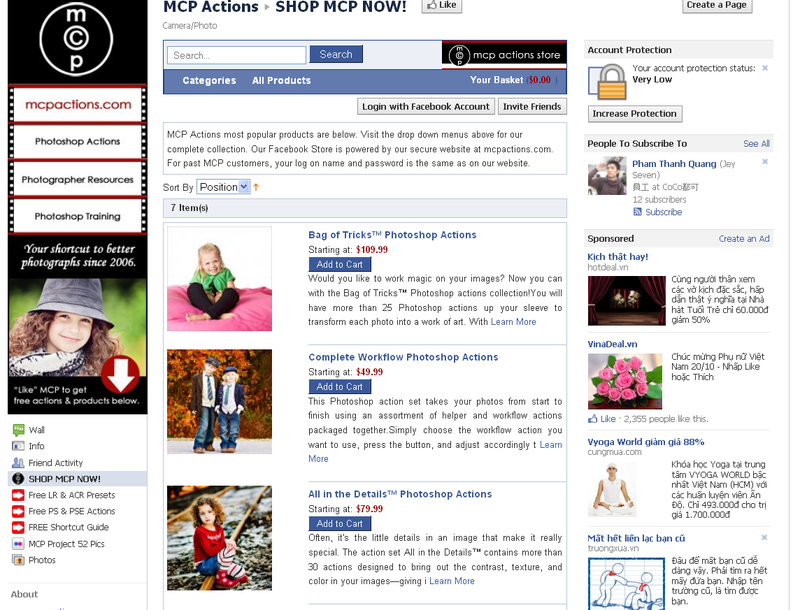 The Facebook Store Pro extension will launch your Facebook page right into excellent conversions. Can we change Facebook store skin easily? Yes, it can be done easily with CSS/HTML skin just like any normal website/store. I understand that any Facebook application will require HTTPS. Currently my Magento store doesn't have HTTPS yet. 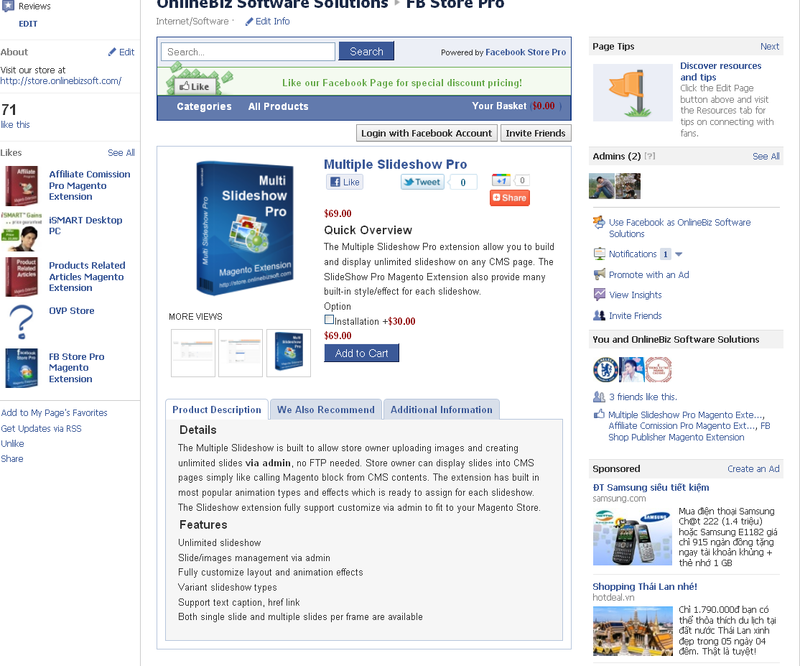 Will it work with your Facebook store extension? No, you will need to buy a SSL and get your hosting company to install in order to setup Facebook App for Facebook store. SSL is as cheap as $9 per year https://www.namecheap.com/security/ssl-certificates/comodo.aspx. SSL also will make your customers more confident to shop.